Inspired by the film The Piano with permission kindly granted by Jane Campion, Jan Chapman and Saddleback Productions. 25 years ago, cinema-goers around the world were captivated by an extraordinary tale of desire, violence and hope. The story of Ada McGrath and her daughter Flora, husband Alastair and lover Baines unfolded against the wild grandeur and desolation of Aotearoa, as Jane Campion's award-winning film took audiences on a visceral journey into New Zealand's imagined past. 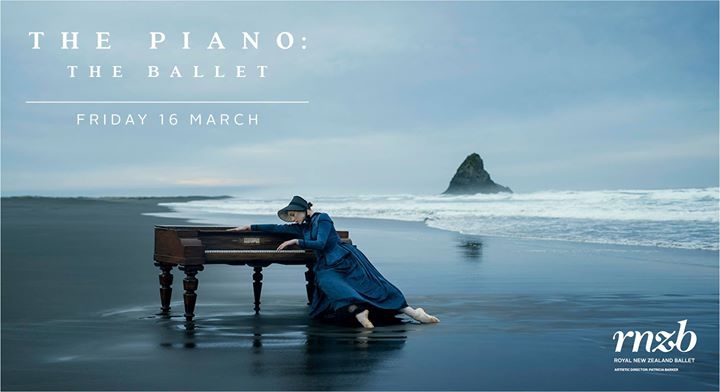 Drawing on the rich inspiration of The Piano, the RNZB is honoured to stage this new full-length dance work by Jiri Bubenícek. Excerpts from Michael Nyman's film score are blended with music by Debussy, Arensky, Stravinsky, Schnittke, Brahms and Shostakovich.